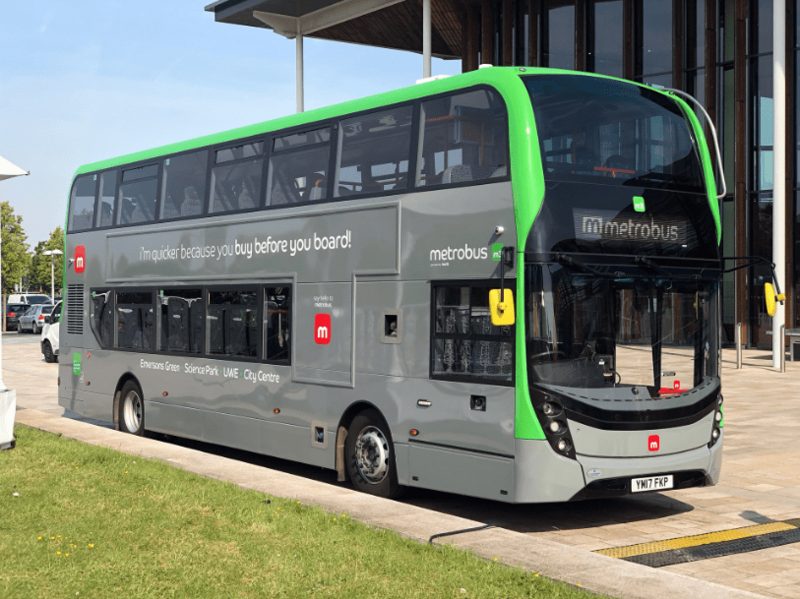 Day 33 on #AYearOfBuses takes us to Bristol, and to the first route to open on the city’s new rapid transit network, Metrobus. 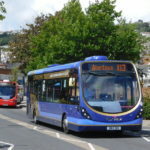 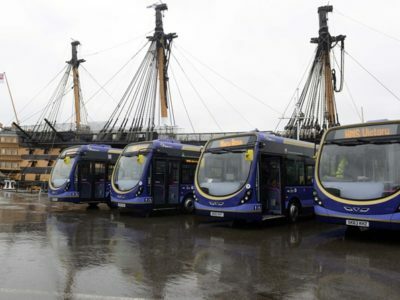 Metrobus m3 was the first of three routes to begin running on the new, high-quality rapid bus operation in Bristol. 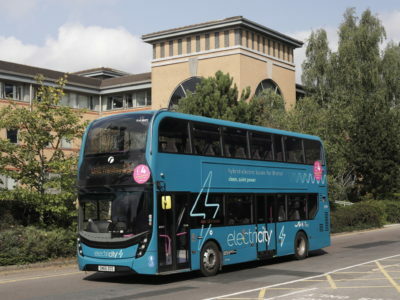 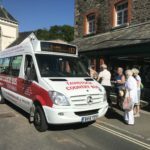 Using a fleet of bespoke branded Alexander Dennis Enviro400 MMCs, the route runs every 20 mins from Emersons Green and Lyde Green Park & Ride, into the heart of the city along the M32. 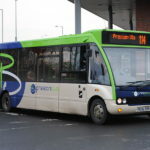 The Metrobus network features a smart MHD Partnership-designed identity of deep grey with bold, bright colours to accent the different routes – green for m3, orange for m2, and pink for m1. 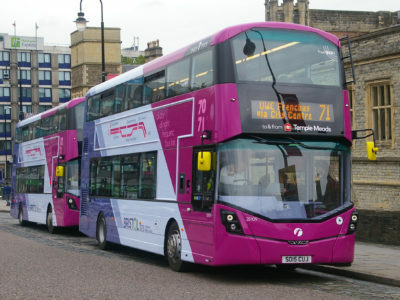 The buses are dual door to speed up boarding times, and in a first for a route outside London, feature ‘buy before you board’ ticketing, with totems at stops.